While a person’s arms and hands are heavily involved in the process of driving a car in that they handle steering and changing gears, these upper extremities don’t deserve all the glory. After all, without legs and feet to work the gas, brake and – when applicable – clutch pedals (as well as occasionally provide bracing for the driver’s body under heavy braking or cornering loads), you’d just be able to adjust the angle of the front wheels and stir the gears in the transmission. Yes, there are modifications available for folks without usable limbs south of the equator, but the overwhelming majority of automobiles in their natural states demand operators with paws up high and down low. 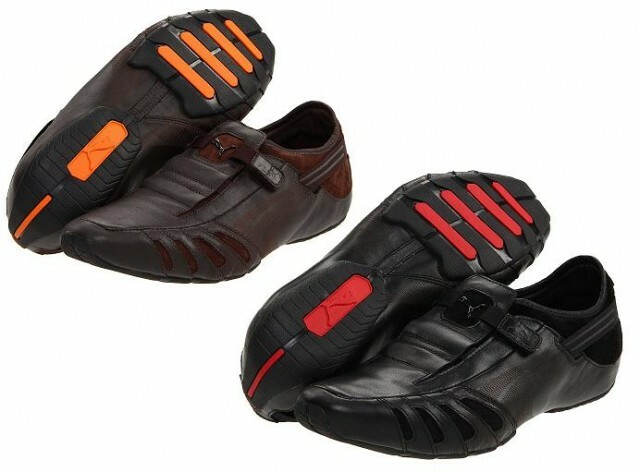 So it’s no surprise that since the feet are tasked with such critical tasks as telling the car to go and stop, there are literally thousands of styles of shoes on the market that profess to provide optimum comfort, maneuverability, tactile feedback (e.g. letting the driver feel the brakes starting to lock up, or the clutch approaching the verge of its bite point) for their wearers. But which articles of motoring footwear are among the elite? Find out after the jump. These colorful numbers may feature Aston Martin branding, but we think they’ll look sweet whatever you’re driving. Heck, they’ll look sweet even if you aren’t driving. Just try not to snap at people who call them bowling shoes, m’kay? Since its establishment in 1963, Car Shoe has been one of the firms at the forefront of premium driving shoe manufacturing and development. 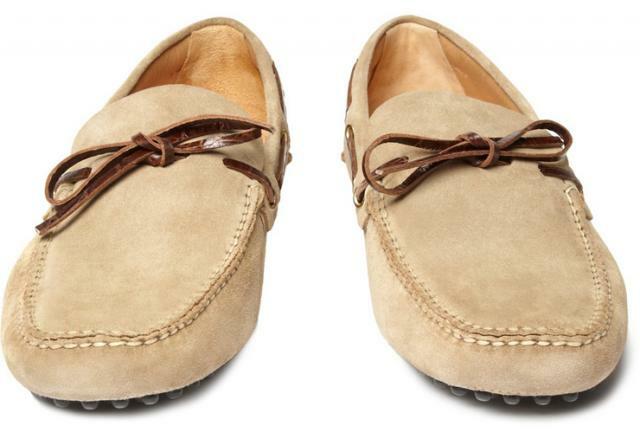 And perhaps none of the company’s products better embody this than the Classic Suede Driver. These leather-lined, rubber-soled beauties are handmade in Italy, and are offered in a variety of colors (though we’re quite partial to the dark brown version). When the occasion calls for a driving shoe that is dressy while still being thoroughly performance-oriented, Puma’s Vedano V is certainly worthy of consideration. Whether you pick the black with red sole accents or brown with orange sole accents, you’ll be wearing footwear that’s as much at home around cocktail bars as it is around roll bars. 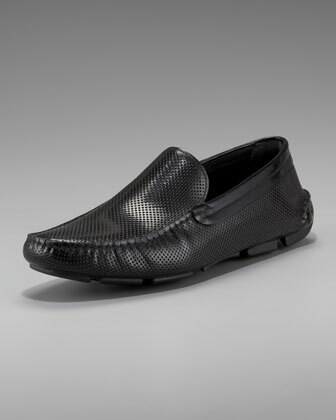 Nothing says high tech high performance like carbon fiber, but what about driving shoes made from the lightweight weave? We aren’t aware of any all carbon fiber footwear, but the Onda Black Carbontech from Michael Toschi looks like it’s mostly carbon fiber. However, that carbon fiber is actually leather embossed with a carbon fiber weave pattern. We don’t mind. If you ask us, there aren’t too many color combos that look richer than light brown and dark brown. The folks at David Spencer Footwear & Accessories clearly had this in mind when creating the Coronado (which is also available in a black and dark brown scheme). 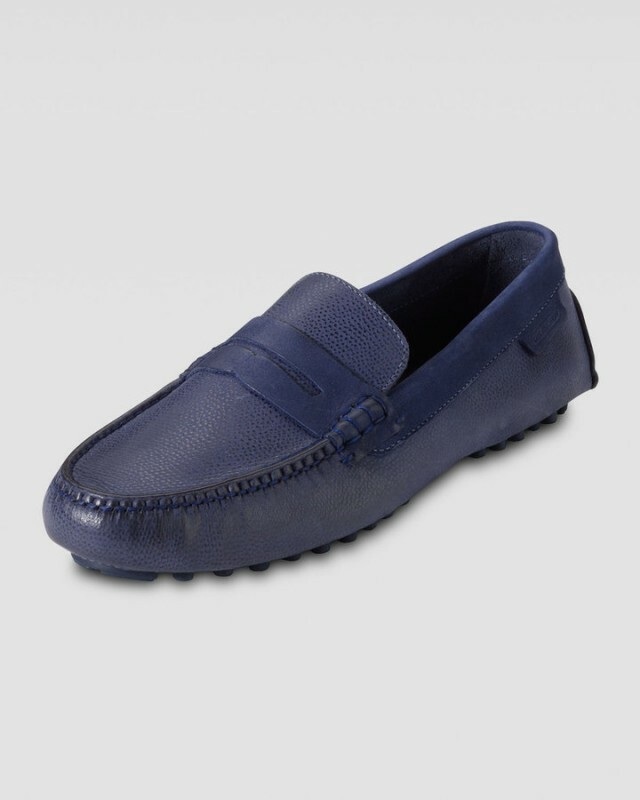 And the combination rubber and leather driving sole serves up copious quantities of comfort and durability. 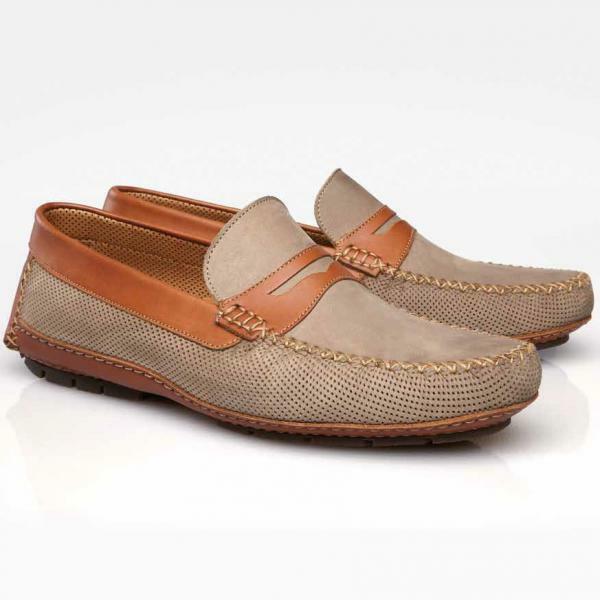 It’s one thing to wear suede driving shoes; it’s another thing to wear woven suede driving shoes. The inventive Italian cobblers at Bottega Veneta created the Suede Woven Driver to keep you stylin’ in the car and out of it. And speaking of in and out, that will be a piece of cake for your feet, thanks to the stretchy gore inserts. Sometimes, you don’t want to mess with shoelaces when you’re jonesing to go for a drive. 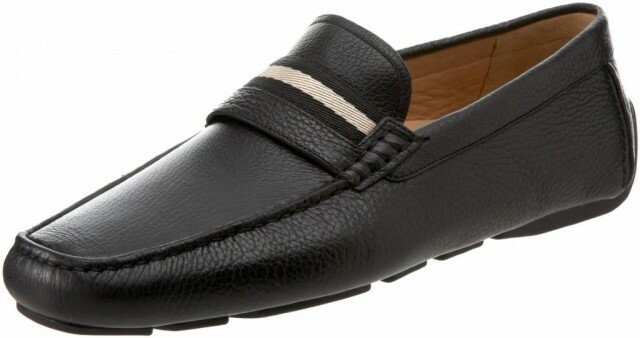 Thankfully, there are many driving shoes of the slip-on persuasion available, and the Wabler from Bally is one of the nicest we’ve seen. The topside is pebbled leather with snappy accent stripes, while the perforated insole is removable if need be (or you just want to admire the exquisite Swiss craftsmanship). 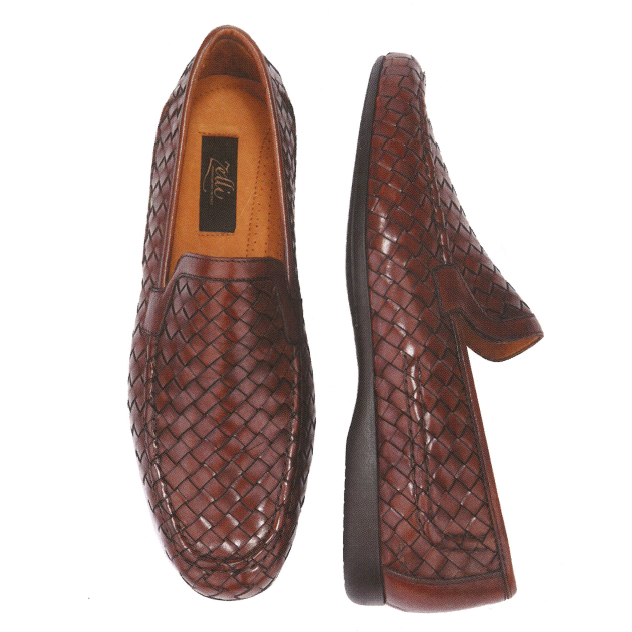 Few things tell the world you’ve got a wild side like snakeskin shoes. And if you’ve got a wild side and take your driving seriously, you might want to take a look at these python-skinned numbers from Gucci. Our fellow Californians should take note, though: Python-skin goods aren’t legal for sale in the Golden State. Any other species of serpent is kosher, but no pythons. We don’t advocate buying a pair on your next trip to Vegas and smuggling them back home, but we won’t tell anyone if you won’t. 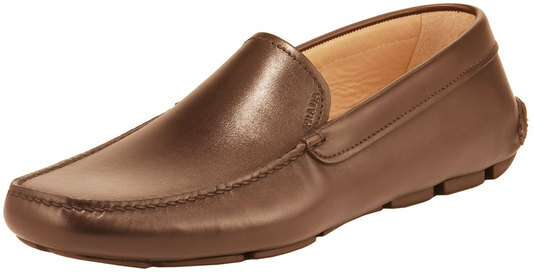 Sure, this slip on driving shoe from Cole Haan looks the business. And yes, the penny keeper strap is a fairly uncommon feature. But you want to know what really sets these puppies apart? That would be the Nike Air technology hidden in the heel, providing a smooth ride to go with all that visual appeal and performance. If you love your BMW – as in really, really love your BMW – you probably want to show the world that you do. 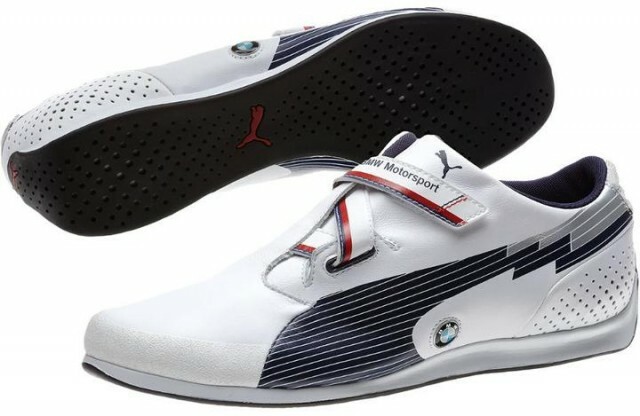 And what better way to do that than with some BMW-branded footwear? Yeah, wearing car company branded apparel is usually an accurate indicator of douchiness, but we quite like these Roundel-adorned low-top numbers from Puma. Better still? They’re secured via z-straps rather than laces. 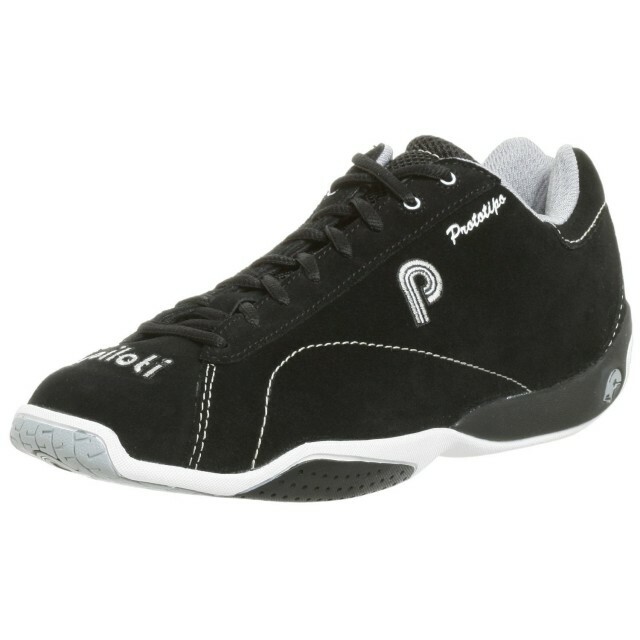 Piloti specializes in driving shoes, both for the track and the street. And one of the company’s bread-and-butter models is the Prototipo. The suede-look uppers and tire-tread-look soles are all kinds of jazzy, and the variety of colors means there’s probably a hue that suits you. 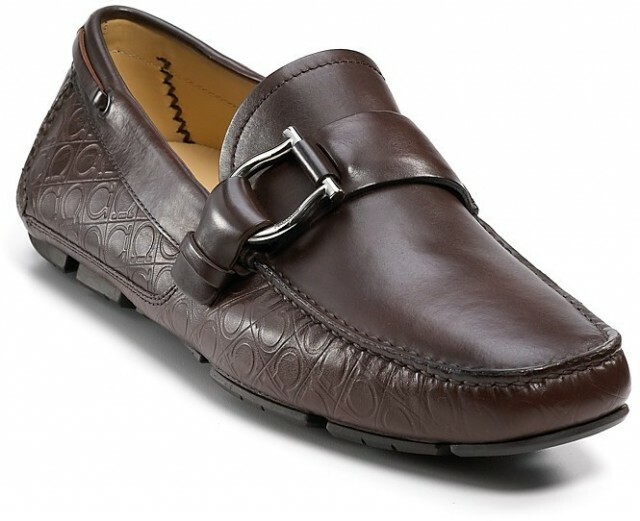 There are perforated leather driving shoes, then there is Armani’s Perforated Leather Driver. 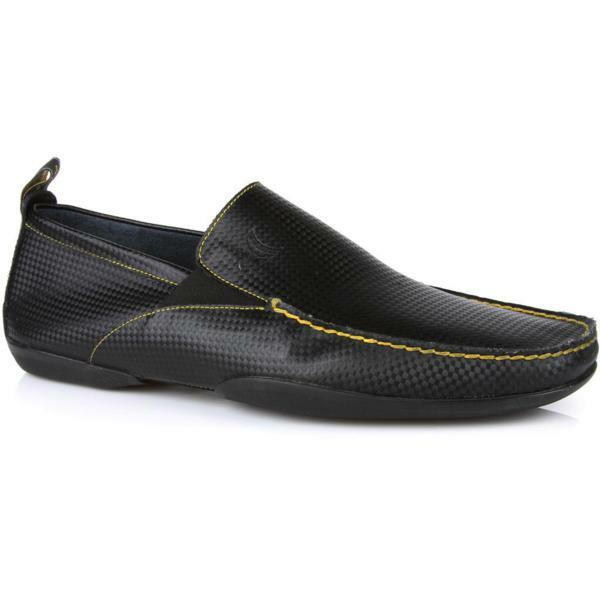 These black slip-on beauties are perforated all over their uppers, except for the smooth openings. And the “Giorgio Armani” lettering on the driving sole leaves no doubt about their Apennine pedigree. Prada’s Driver may not have the most imaginative name in the shoe world. Nor may it be the most flashy. But you have to admit, it’s quite beautiful in its simplicity. Stemar Shoes (whose name is derived from those of brothers Stefano and Mario Moreschi) is one of Italy’s most respected high-end shoe firms. 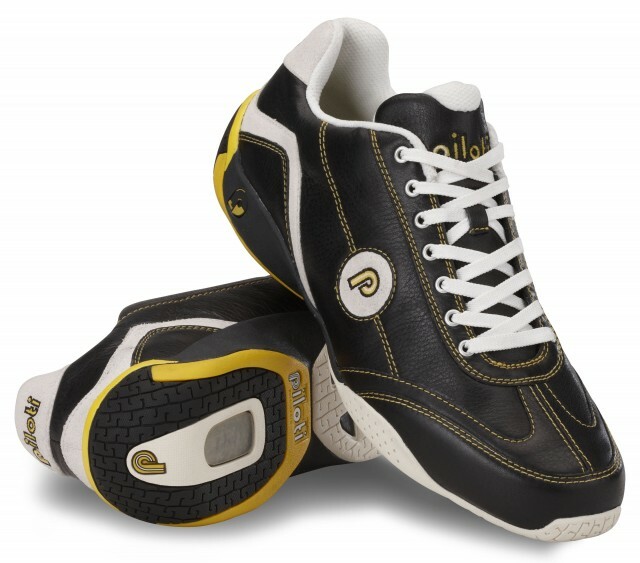 And the Capri 2 Perforated Nubucks are one of its signature shoes. The perforated leather uppers provide an uncommon texture, and the intricate stitching is a sight to behold. Even if a mid-$20k range Ferrari like a 308 GTB/GTS or 308 GT4 is out of your price range, but you just have to have something with the Prancing Horse on it, have a look at Puma’s Ferrari Drift Cat IV. 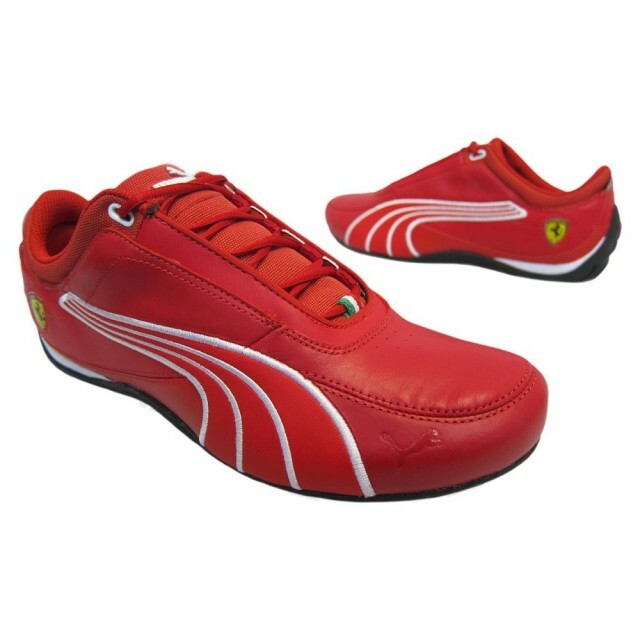 Available in white, black or, of course, Rosso Corsa red, these low top shoes feature a lace-up design for an as-snug-as-you-like fit, and a host of Ferrari design cues. Bellisima! 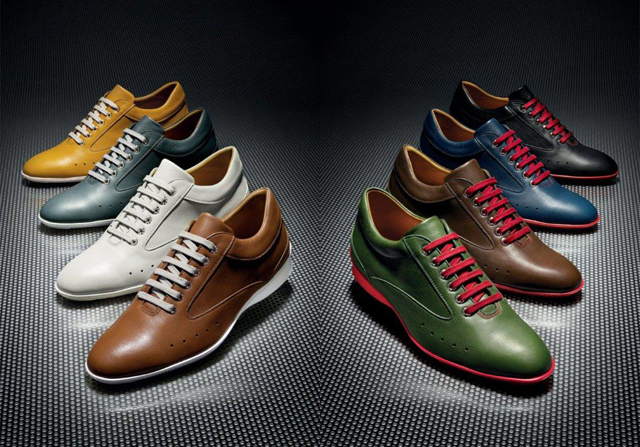 Staying with Italian passion, we find the company Bruno Magli, and its Kolver Perforated Driving Shoes. The perforated aspect isn’t visible right away, but a close look at the calfskin upper confirms that is indeed the case. 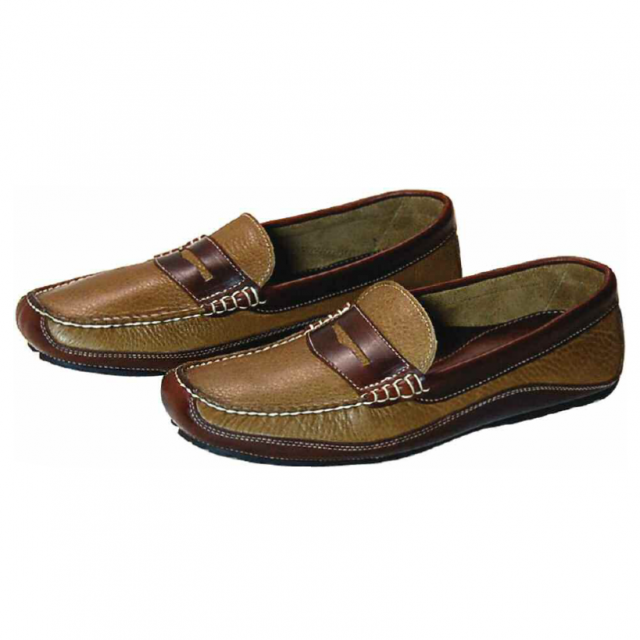 And the rubber driving sole provides a one-two punch of comfort and heel-toe-ability. 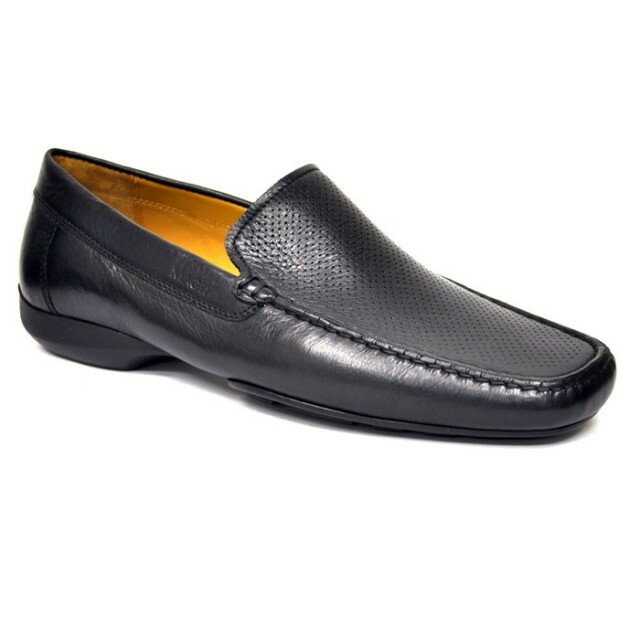 If you prefer your calfskin shoes to be woven, you can’t go too far wrong with the Alberto from Zelli. The basket-esque construction is inherently flexible, and looks amazing. That’s enough to get us to look past the lack of a proper driving sole. 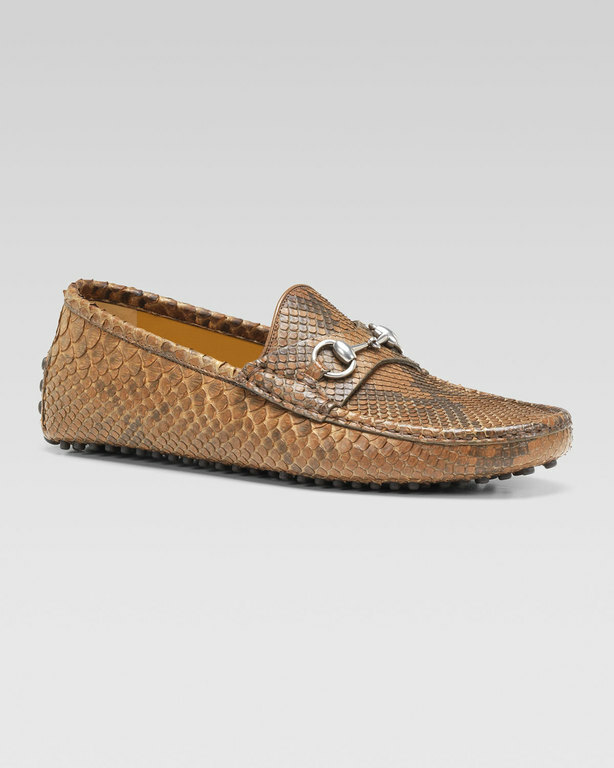 Salvatore Ferragamo was an Italian who spent enough time living in Los Angeles in the 1920s to establish himself as “the shoemaker to the stars.” Slip on a pair of his company’s Cabo Gancinis and you’ll feel like a star. The embossed leather upper and perforated insole allow these beauties to be as practical as they are classy. Finally, if you want something modern looking with lots of visual flair, Sparco serves up the Time 77. 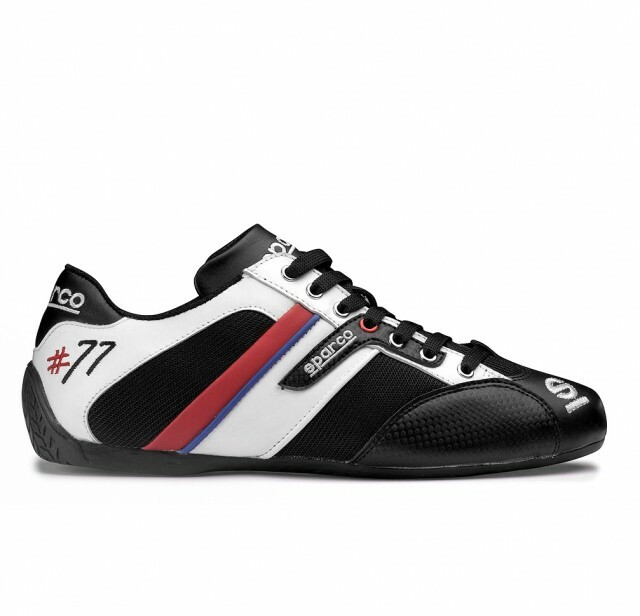 The thin sole and back heel provide crystal clear connections between feet and pedals, and there are carbon look side panels and “#77” graphics. Concrete proof that form needn’t follow function. NICE COLLECTION THANKS A PAIR OF EACH PLEASE? NOT JOKING………. MAN AT OUR AGE WE NEED SHOE’S LIKE THIS ! BUNIONS , CARBUNCLES ! WART’S AND FUNGUS ?? SPOSE THEY 54 YRS OLD ? excuse me? Where are the nike air max?